If one were to encounter the Watsons and their five children at the airport, one would see a family that operates like a well-oiled machine. The Watsons have made five cross-country moves over the 15 years of Ben’s pro football career, so there aren’t many things that could throw them for a loop. Ben attributes that to Kirsten, who has been the supportive glue holding the family together. 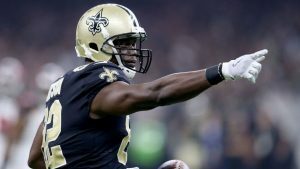 That perfection will be put to the test Sunday when Watson and his Saints teammates host the Los Angeles Rams in the NFC Championship Game (3:05 p.m. ET, Fox). As Watson prepares to retire at the conclusion of the Saints’ playoff run, he had to admit: It’s time to let go. Watson’s natural leadership is evident, which is why a portion of the locker room gravitated toward him in the later years of his career.